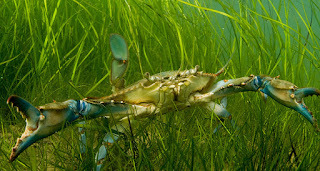 Grass is back and thriving in the Chesapeake Bay, and that bodes well for not only your dinner plate but the future of human-led efforts to restore polluted ecosystems. 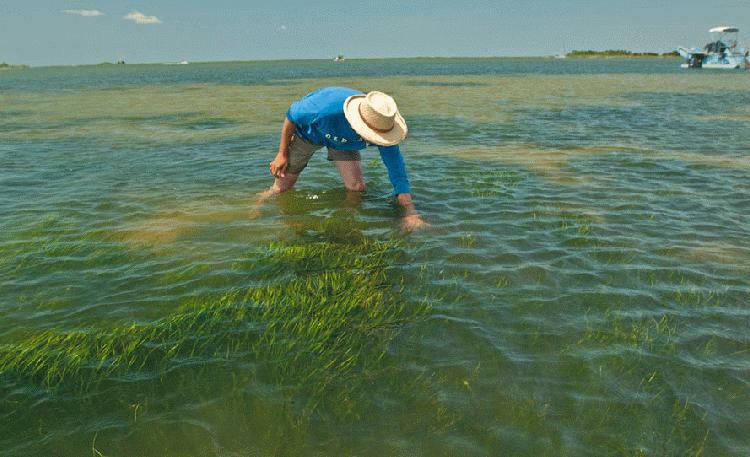 The bay is seeing its greatest growth of underwater grasses in almost half a century, according to a study released recently in the Proceedings of the National Academy of Sciences. Scientists and conservationists have long devoted efforts to cleaning up the bay and restoring the vegetation that serves as a “sentinel” for its overall health. Recently they evaluated how those efforts played out over the past three decades. The grass comeback has made the Chesapeake “one of the few places on Earth” where long-term improvements can be linked to human efforts on a large scale. It’s “one of the pre-eminent ecological restorations reported to date,” researchers wrote. In the 1970s, the bay was experiencing an “unprecedented decline” in the grasses, which scientists call submerged aquatic vegetation. 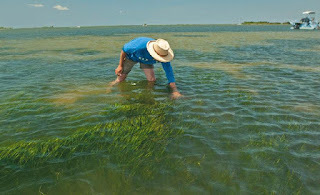 Robert Orth with the Virginia Institute of Marine Science, who’s been studying the issue since 1969, said a tropical storm ripped through the area in 1972, damaging underwater grasses that didn’t seem to recover. They also were declining for other reasons, including waste from an increasing population living by the bay. Hurricane Agnes (only a tropical storm when it reached the Bay region sent enormous volumes of water and mud into the Bay, apparently altering the Bay for decades. “What we had noted and recorded after (the storm) was something we hadn’t seen baywise in the recorded history,” said Orth, who co-wrote a 1983 paper for the journal Science that caught people’s attention. He also helped write the recent report. I think the Bay has improved as a result of the nutrient reductions which have taken place in the last 30 years, and that the sea grasses have been one of the main beneficiaries. Fish and oysters have not seen similar rebounds. I would also note that sea grasses have rebounded primarily in regions away from the major population centers. People are still affecting the Bay. Is There Any Justice in "Social Justice"? Are Your LEDs Killing You? You Don't Have to be Crazy to Have a PhD . . . Morning Music - "Those Were the Days"
When the Lion Lays Down with the Lamb . . .
Can Rain Barrels Save the Chesapeake Bay? Women Have Women Friends! Who Knew? The Death of a Leftist . . .